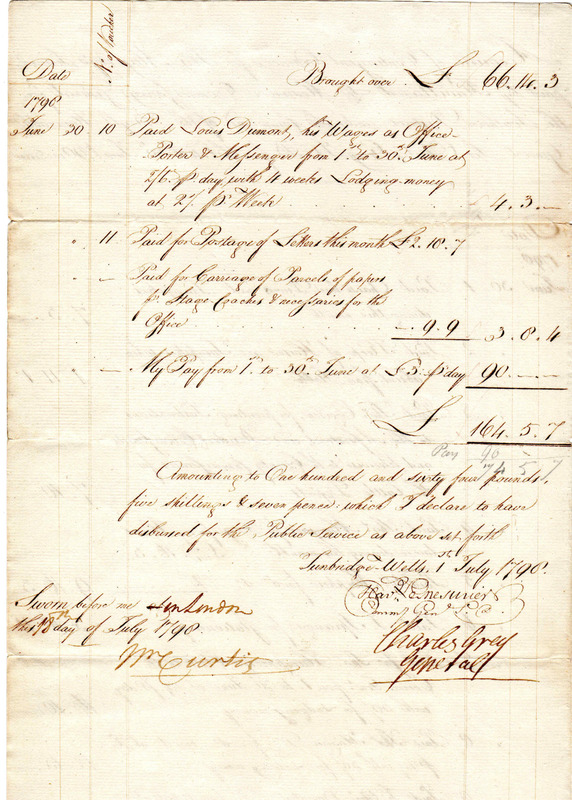 Prince Frederick, Duke of York and Albany, signed order to purchase military commission, Coldstream Regiment of Foot Guards. This is a wonderful, original document, circa 1784-1805, during the tenure of Prince Frederick as Field Marshall and Colonel of the Coldstream Regiment. This is a scarce request to purchase a military commission at the rank of lieutenant in the Coldstream Regiment of Foot Guards. 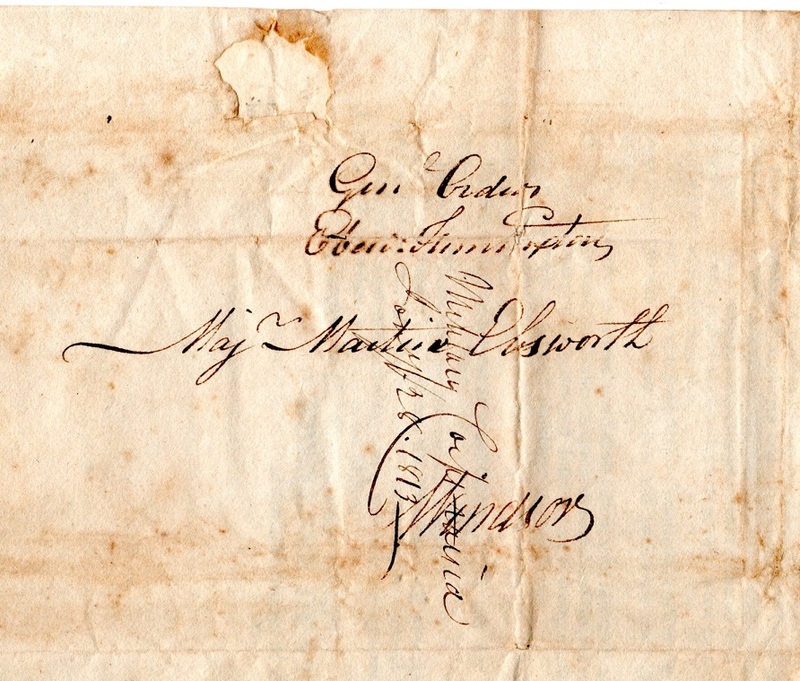 Document is 8x11, mounted at very outer margins, signed at lower right by Frederick as Colonel. The Prince Frederick, Duke of York and Albany (Frederick Augustus; 16 August 1763 – 5 January 1827) was the second eldest child, and second son, of King George III, a member of the House of Hanover and the British Royal Family. From the death of his father in 1820 until his own death in 1827, he was the heir presumptive to his elder brother, King George IV, both to the United Kingdom and the Kingdom of Hanover. He was thrust into the British army at a very young age, appointed to high command at the age of 30, and commanded in a notoriously ineffectual campaign during the War of the First Coalition, which followed the French Revolution. Later, as Commander-in-Chief, he reorganised the British army, putting in place vital administrative and structural reforms. 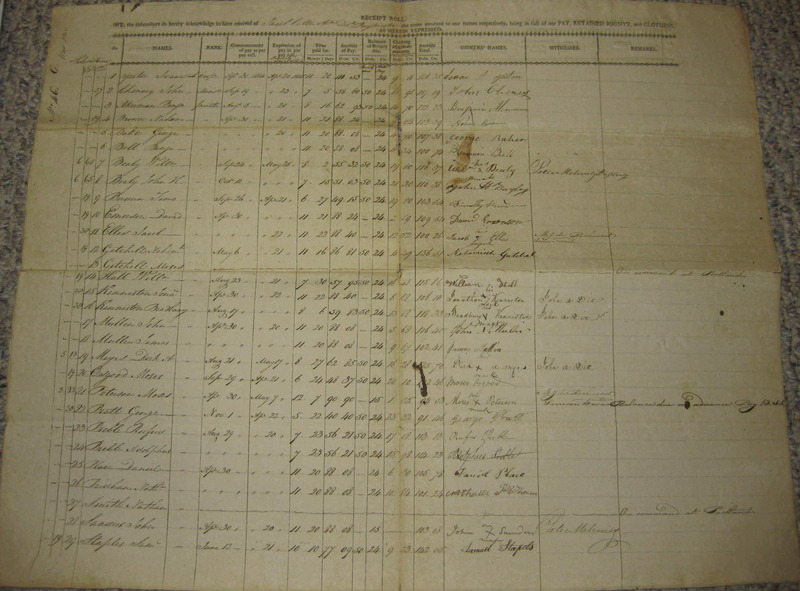 This is a wonderful original document, a muster roll of soldiers, most likely doing duty along the Canadian Border, where young John A. Dix has signed three times as having witnessed pay to certain soldiers. Document is large, 24x24, folds, splits along center fold line, age toned on one document panel, else quite possibly the earliest signed Dix document available to the public. John A. Dix, American soldier and political leader, born at Boscawen, New Hampshire, on the 24th of July 1798. He studied at Phillips Exeter Academy in 1810-11 and, at the College of Montreal in 1811-12.During the War of 1812 was appointed a cadet, promoted to ensign, and took part in the operations on the Canadian frontier, serving in the Battle of Lundy`s Lane. 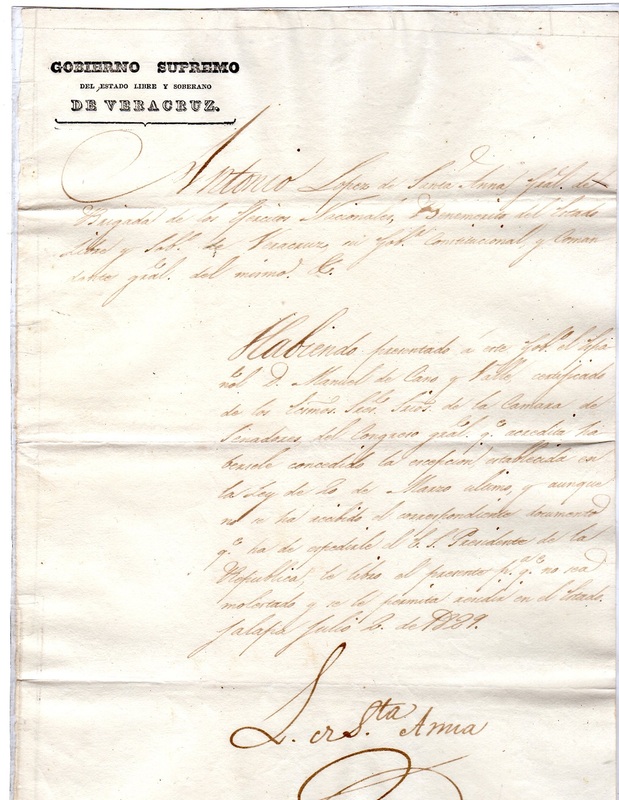 This is a wonderful, original document dated 1798, where Major General Sir Charles Grey has signed a payment voucher for Quartermaster Havilland Le Mesurie, for the Southern District. Very nicely penned, two pages, minor splits, else in overall very good condition. Signed by Havilland Le Mesurie, Charles Grey and William Curtis. Charles Grey, 1st Earl Grey KB PC (circa 23 October 1729 – 14 November 1807) was a British general of the 18th century. During the American War of Independence he was one of the more successful army leaders. He was rapidly promoted, becoming a Major General in 1777 and commanded the 3rd Brigade at the Battle of Brandywine. He earned the nickname "No-flint Grey" after the Battle of Paoli in 1777 when, to ensure surprise in a night attack on an American encampment, he ordered the infantry of his command to remove the flints from their muskets and use only their bayonets. He commanded the 3rd Brigade again at the Battle of Germantown and the Battle of Monmouth. In 1778 he led raids at New Bedford on 5–6 September, destroying nearly all the shipping and burning twenty shops and twenty-two houses in the town, and Martha's Vineyard, where between 10 and 15 September, the British carried off all the sheep, swine, cattle and oxen that they could find with promise of payment in New York. On 27 September 1778, Grey used the same methods as he had at the Battle of Paoli in a controversial night attack at Old Tappan, New Jersey, which came to be known as the Baylor Massacre. He was recalled to England and became a knight of the Order of the Bath and a lieutenant general. He later was appointed commander-in-chief of the British troops in America, but hostilities ended before he could take command. LE MESURIER, HAVILLAND (1758-1806) During the invasion alarm of 1796 he was appointed commissary-general of the southern district. 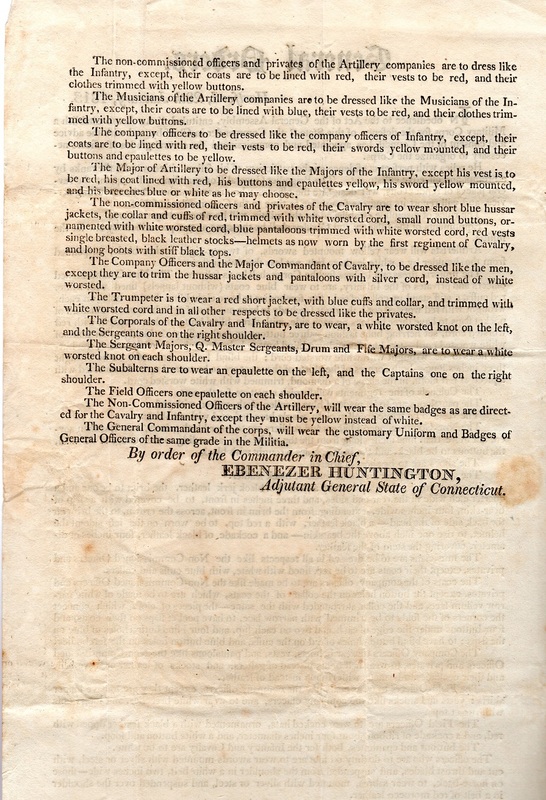 In 1799 the post of commissary-general in England was created or restored for the benefit of Sir Brook Watson, and Le Mesurier. Sir William Curtis (25 January 1752 – 18 January 1829) A lifelong Tory, he was elected as a Member of Parliament for the City of London at the 1790 general election.He was also Alderman of the city, becoming Sheriff of London in 1788 and Lord Mayor in 1795–96. 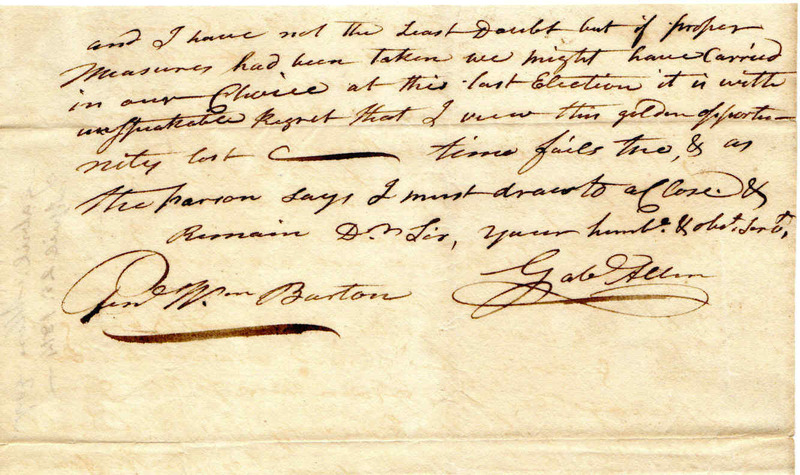 This item is a wonderful, original letter dated 1814 , Providence, Rhode Island, where Gabriel Allen, postmaster, has written to imprisoned General William Barton at Danville, Vermont. Allen tells Barton that he is sure that Barton will soon be free of his misfortunes ...he also goes on in detail about the British invasion of the entire world and the butchering of men, women and children at Prague...giving the bayonet to any survivors .signed G. Allen. Letter is two pages, addressed ..pages are 8x12, in overall very good condition. GABRIEL ALLEN (1749-1824) son of George Allen of Rehobeth, Massachusetts, was a prosperous merchant, gravestone carver and later first US Postmaster in Providence, Rhode Island. He carved gravestones from the early 1770s to 1800. He was a lieutenant in the company of men under the command of General William Barton that captured British General Richard Prescott in 1777. William Barton (1748–1831) was an officer in the Continental Army during the American War of Independence who retired with the rank of colonel. He later served as adjutant general of the Rhode Island militia. Barton was born in Warren, Rhode Island on May 26, 1748. He worked as a hatter in Providence, Rhode Island. In 1771, he married Rhoda Carver. In 1775, he enlisted in the Continental Army as a corporal. He fought in the Battle of Bunker Hill. In 1777, as a major in the Rhode Island state troops, he planned and led a raid on British headquarters, capturing Major General Richard Prescott. For this exploit, he was promoted to lieutenant colonel and honored by a resolution of the Continental Congress. When Rhode Island ratified the Constitution of the United States in 1790, Barton was sent to New York to notify George Washington. 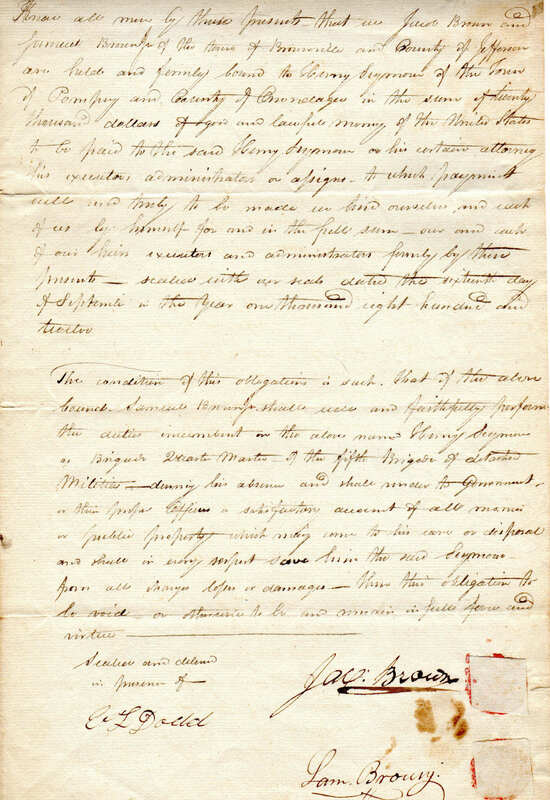 In 1781, Barton petitioned the governor of Vermont for a grant of unsettled land near the Canadian border. 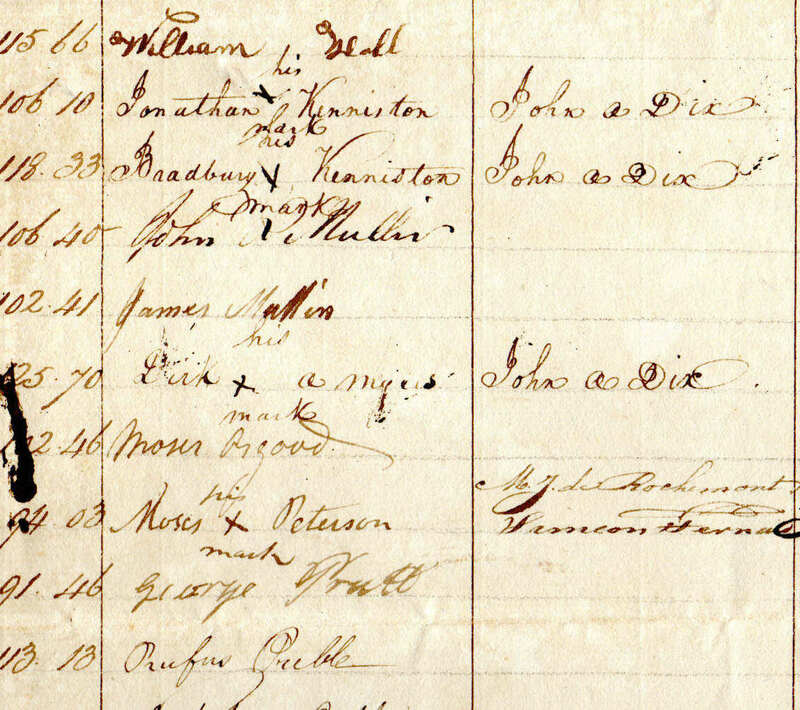 He was joined in this petition by Ira Allen (brother of Ethan), John Paul Jones, and others. The town of Barton, VT came into existence at this time.Then Col. Barton was jailed over a land dispute. He refused to pay a real estate tax on some land he had sold to a party named Wadhams. This put the title in dispute. Wadhams found out about that, repurchased the land from another man, and then demanded that Barton return his money to him. After several court actions, Barton was ordered to pay the original amount, plus court costs. He refused to do this, insisting he would 'go to jail and rot' before paying. . At the age of seventy-seven, he was released at the initiative of the visiting Marquis de Lafayette, who agreed to pay the balance of his fine. Barton died on October 22, with the year of death being given variously as 1831 or 1833. He is buried in the North Burial Ground in Providence, Rhode Island. Fort Barton in Rhode Island was named after William Barton. This is a wonderful, original letter where Secretary of War Timothy Pickering has signed a letter regarding a land warrant for Lt. 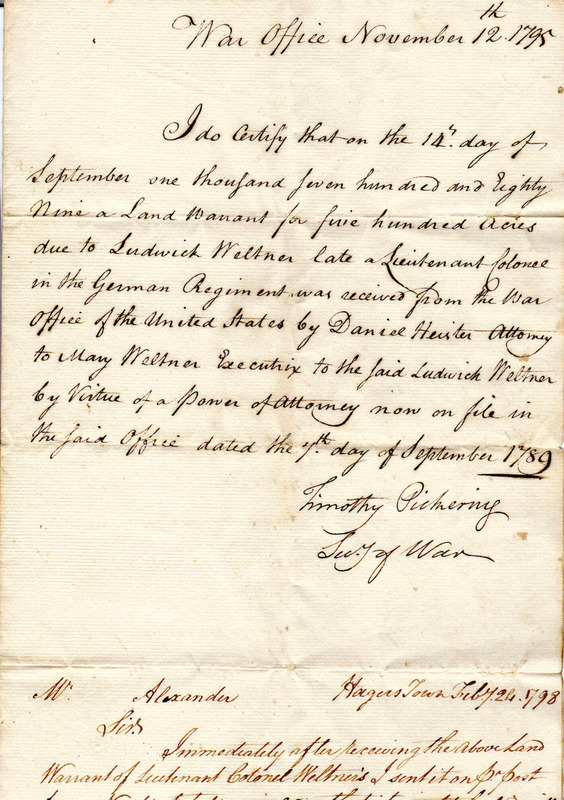 Colonel Ludwig Weltner, of the German Regiment, by Daniel Heister, attorney for the widow of Ludwig....signed at bottom by Timothy Pickering as Secretary of War. 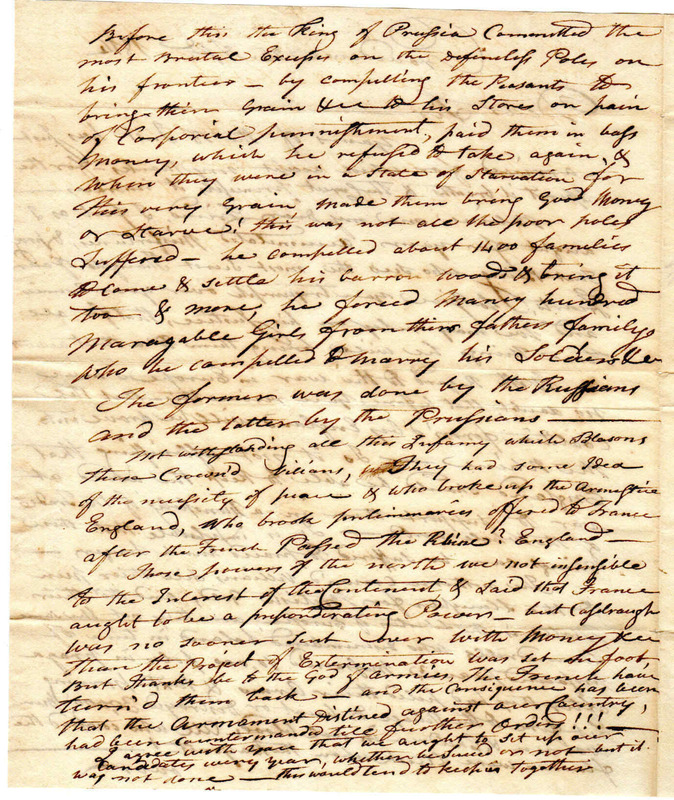 Paragraph by Daniel Heister to William Alexander, surveyor of Pennsylvania, regarding the disposition of the land warrant. Ludwig Weltner was an officer in the Frederick County Militia during the French and Indian War and also took part in the defense of the western frontier. He was born in Germany. When the German Battalion was organized, he was commissioned as a Major. He too took part in the battles in New York and New Jersey. He was raised to the rank of Lieutenant Colonel on April 29, 1777. In that position he was in charge of what was left of the German Battalion at Valley Forge in the winter of 1777-1778. When the Battalion was reorganized in the spring, he became the field commander, serving as such at the Battle of Monmouth. He was an outstanding officer. He continued to serve until he retired when the Battalion was retired on February 19, 1781. 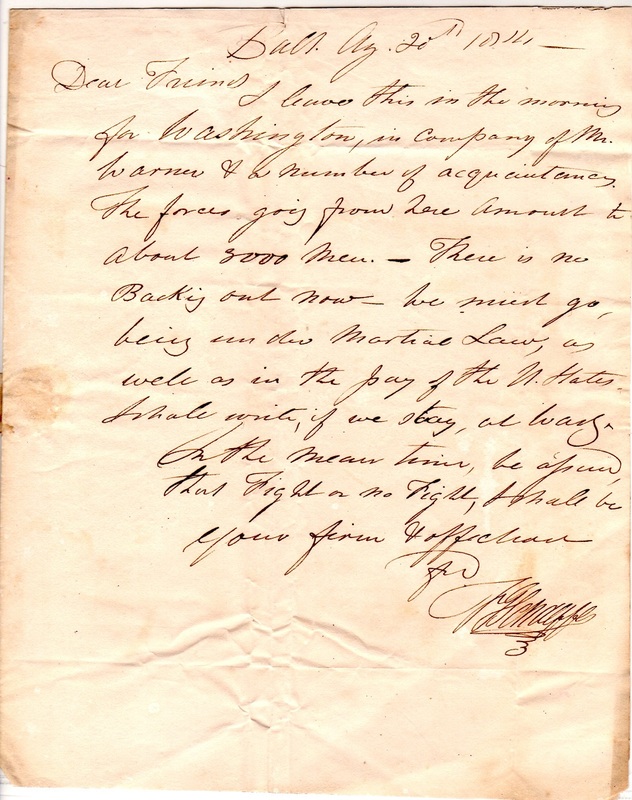 General Washington wrote to the Board of War commending Weltner’s leadership and urging them to give him the retirement of a full Colonel. Colonel Weltner was also active in the Lutheran Church in Frederick County. Timothy Pickering (July 17, 1745 – January 29, 1829) was a politician from Massachusetts who served in a variety of roles,Postmaster General, Secretary of War, most notably as the third United States Secretary of State, serving in that office under Presidents George Washington and John Adams. 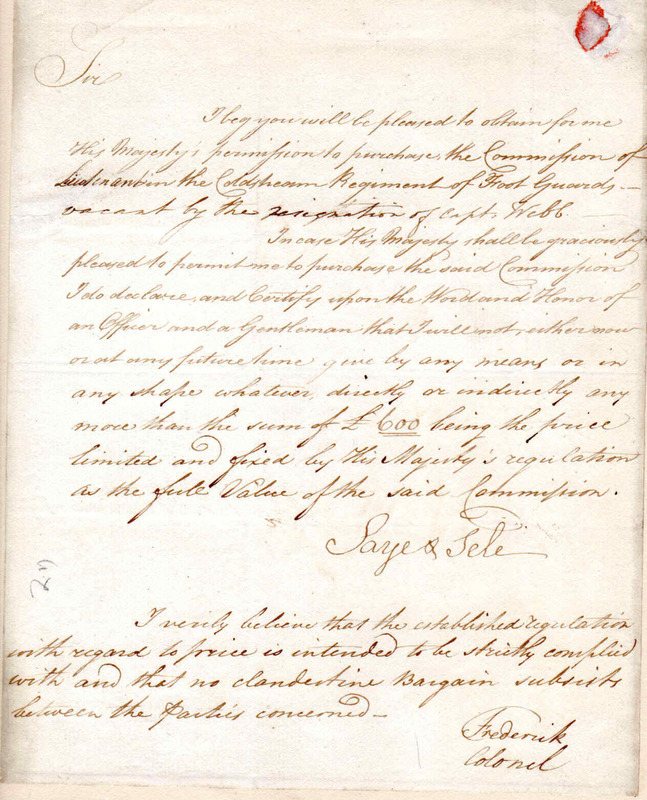 This is a wonderful, original document dated 1795, where Robert Blaine has paid a soldier $100 in full for services rendered the United Sates on the Western Expedition against the insurgents....signed Mend. Levine. Document is 3x6, folds, mild wrinkles, else a scarce document in nay form. 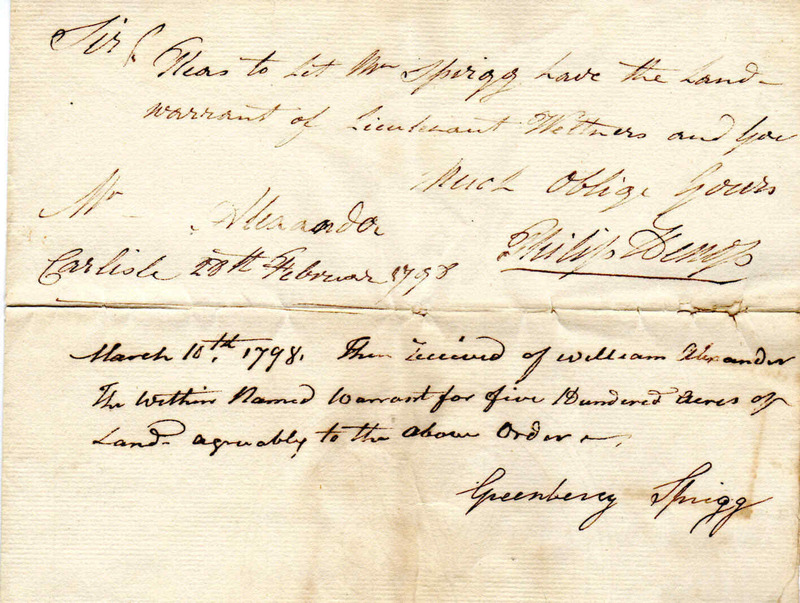 This item is a wonderful,original document dated May 2, 1783, where General Timothy Pickering has handwritten and signed within the text a payorder for Aaron Ogden to pay for forage on behalf of his brother, Colonel Matthias Ogden. 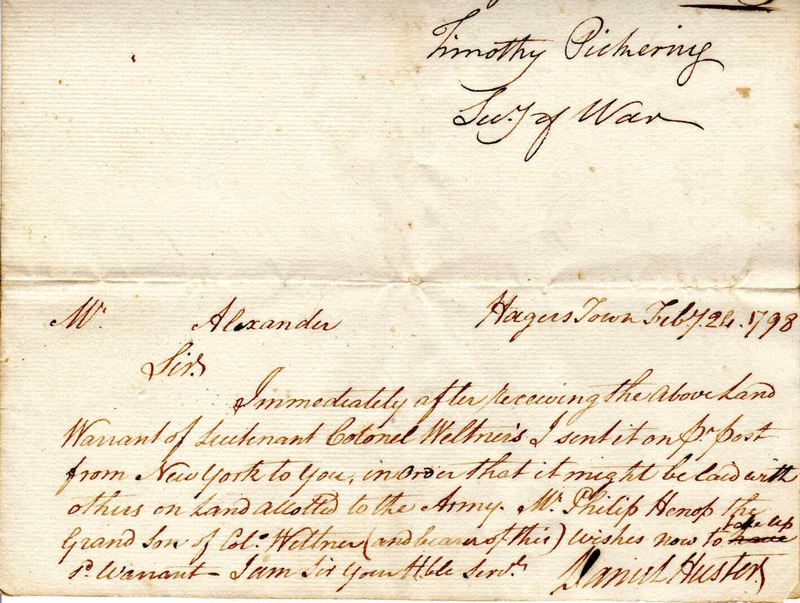 Document is 5x7,excellent condition, rare document signed just weeks after the war officially ended.On April 19, 1783, General Washington's order for a "cessation of hostilities" was announced from his headquarters in Newburgh. 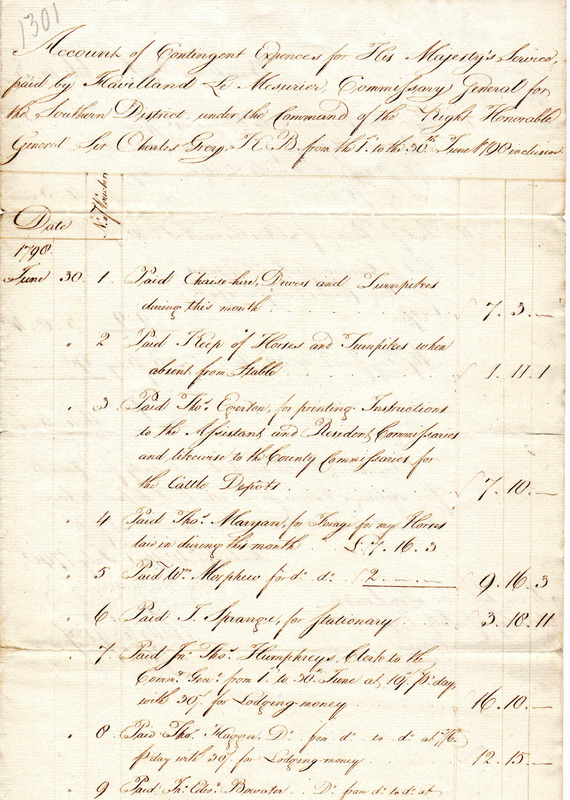 In April of 1783, Pickering was stationed with George Washington at Newburgh and hastened to finalize all the outstanding accounts under his name so that he could carry on with his plans to settle the Northwest Territories; this is one of those acounts dated a few weeks after Washington announced the Peace Treaty had been signed . In the American Revolutionary War, Ogden was appointed a lieutenant in the 1st New Jersey Regiment; his older brother Matthias Ogden was the lieutenant colonel. Aaron Ogden served in various roles through the war, seeing action and rising to the rank of brigade major. He was wounded at the siege of Yorktown in 1781. Ogden was an orginal member of the Pennsylvania Society of the Cincinnati. He served as the Society's President General from 1829 until his death in 1839. 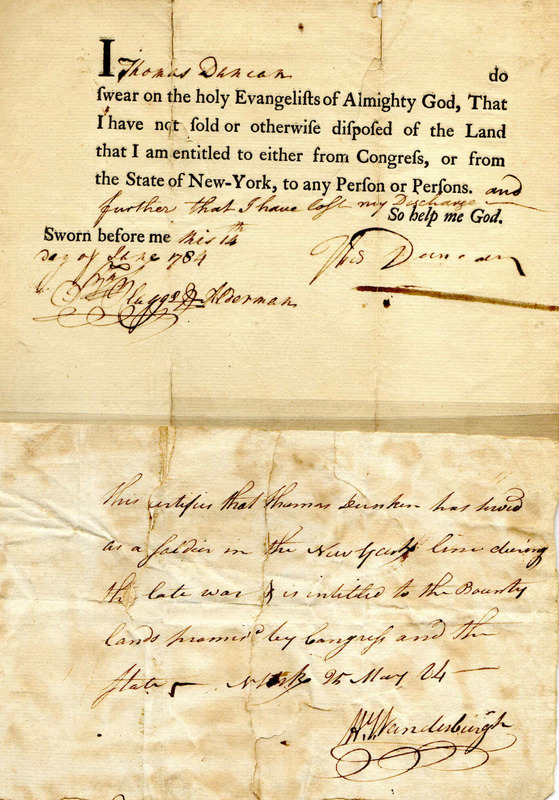 This is a wonderful, original pair of documents pertaining to Thomas Duncan of the New York Line. First document is a sworn oath from Duncan, that he has not sold or disposed of the land he recieved from Congress....second document is a sworn statement from Henry Vanderburgh stating that Duncan was discharged from the New York line and is due the land from Congress. Docket on back states that he lost he discharge and the statement from Vanderburgh will take it's place. Henry VanderBurgh was born in 1760 in Troy, New York. On November 21, 1776, John Jay appointed him Lieutenant in the 5th New York Regiment of the Continental Army. He was later commissioned as a Captain in the 2nd Regiment. VanderBurgh served until the end of the Revolutionary War in 1783. He then served as a territorial judge during the organization of the Indiana Territory. He occupied that position until his death on April 12, 1812. A scarce sworn statement pair regarding some of the fraud happening with land grants. Each is approximately 4x6, splits, faults as shown. 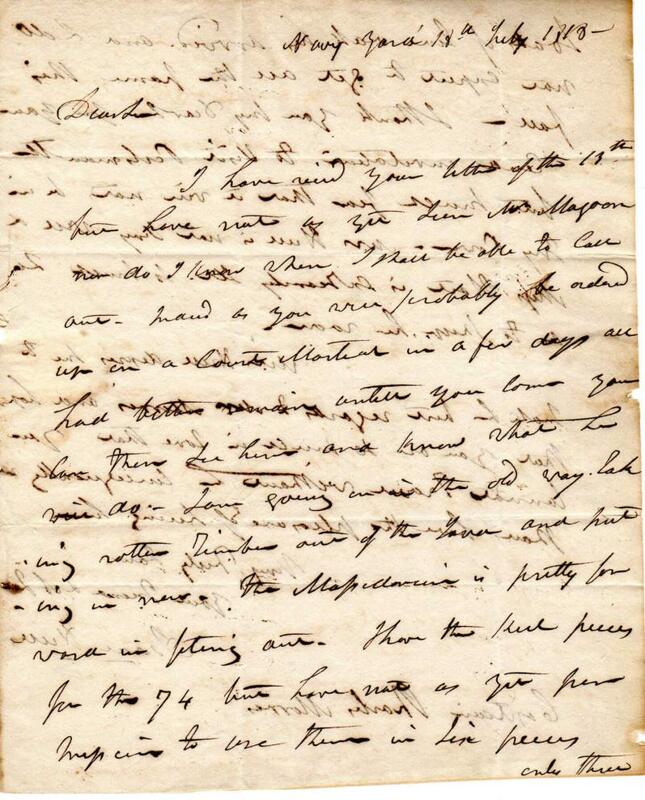 This is a wonderful, original letter, dated August 20, 1814, Baltimore, where a writter leaves for Washington in the Company of 3000 men, no backing out now...fight or no fight they must go...signed J. Henaeffe? 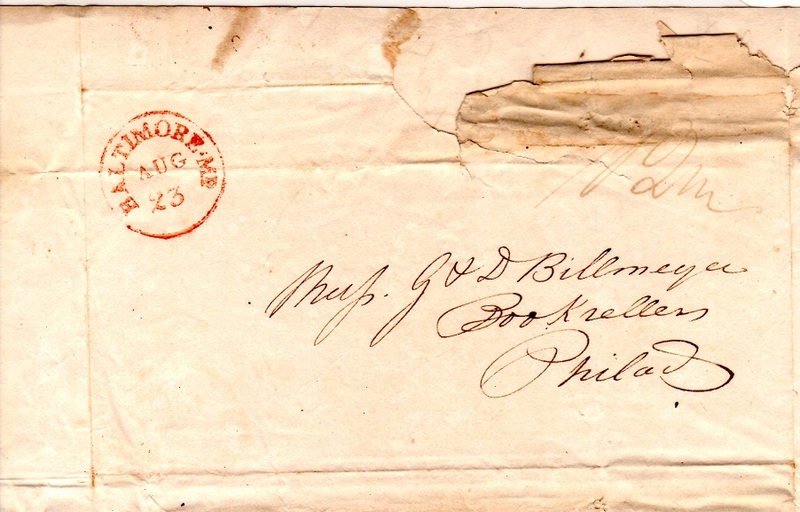 Letter is addressed to G&D Billmeyer, bookseller in Philadelphia. 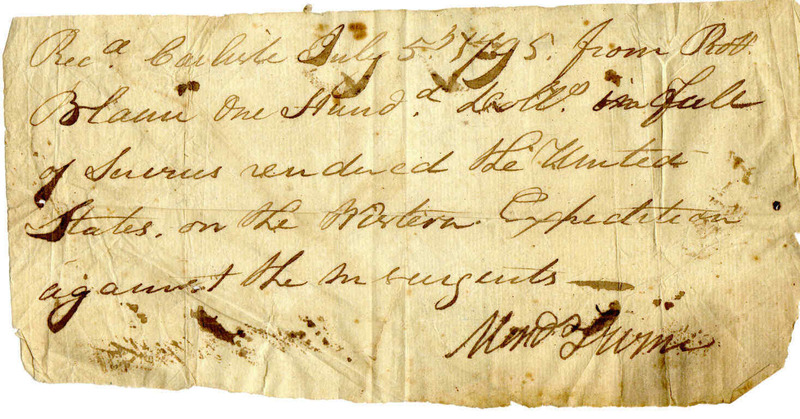 Letter is 8x10, folds, addressed outer leaf, overall good condition.Perhaps relating to the Battle of North Point. 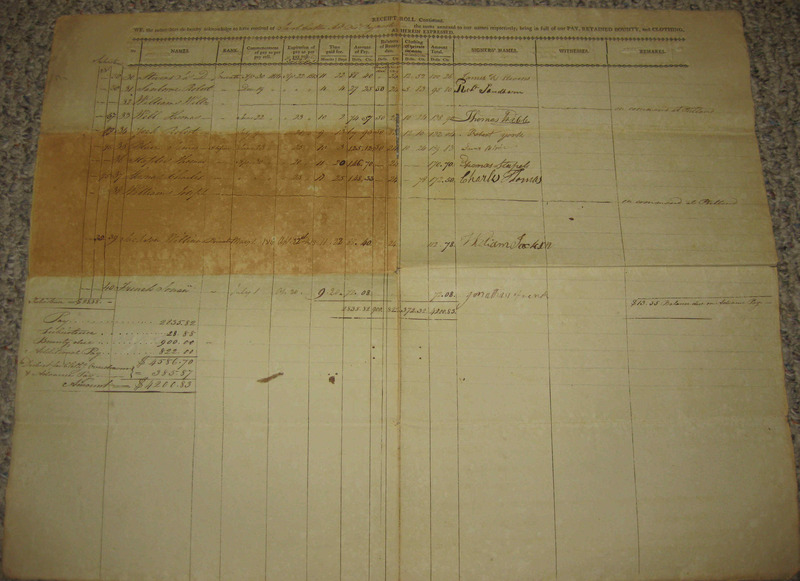 Document is 8x12, single sheet, overall fine condition. 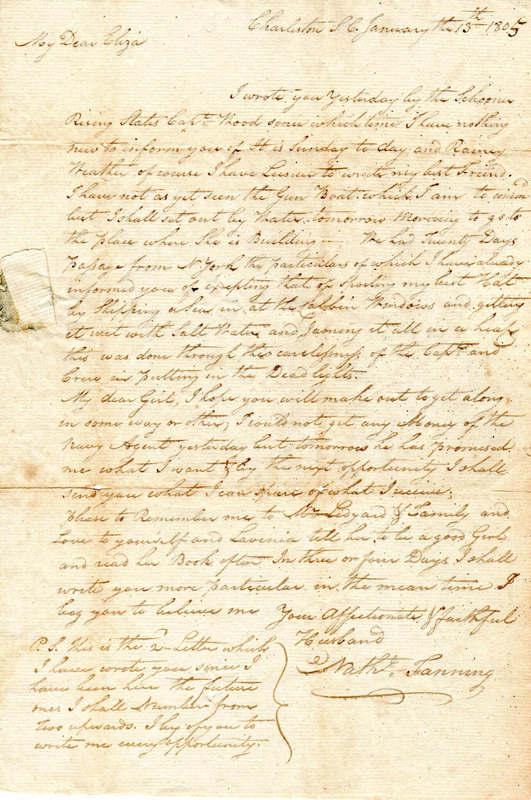 This is a wonderful, original letter, 1783, written by Joseph de Valnais, French Consul of Boston, upon the arrival of Count de Viomenil at Boston, prior to his return to France. The Count desires to see John Hancock and has waited on him twice after his return from Newport (Rochamneau's departure). He hopes to meet with Hancock tommorow evening. 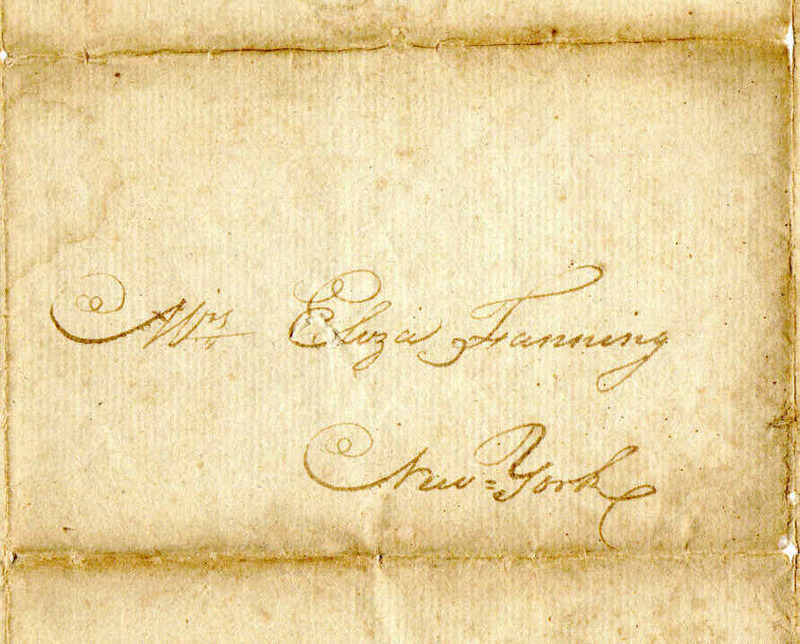 Letter is 6x8, addressed outer leaf to John Hancock, folds, else in overall fine shape. 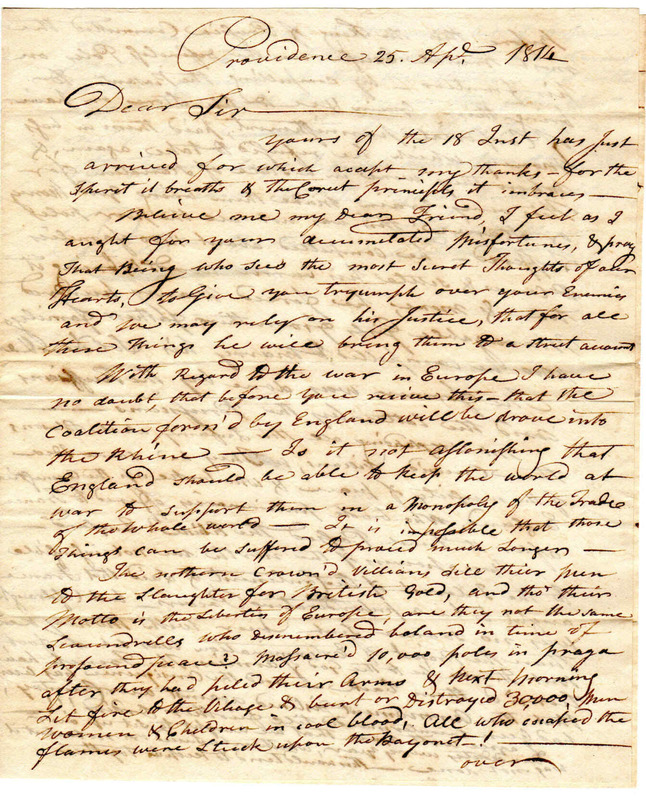 From the journals of Massachusetts...The several Resolves of the General Court, authorizing the Gentlemen Selectmen of the Town of Boston, to prepare Accomodations suitable to the Rank of the Officers of the French Army upon their Arrival in Boston, have with great attention & punctuality been attended to by the Selectmen. 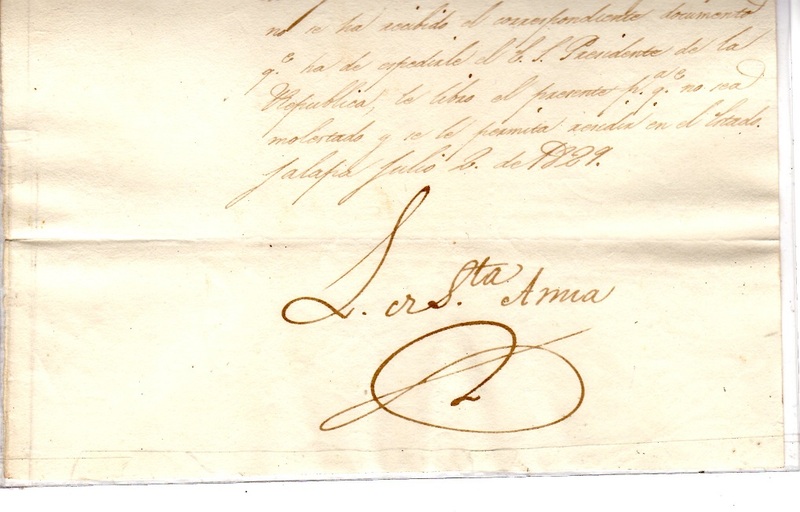 I have the Satisfaction to inform you that the General of that army the Count De Viomenil assur'd me, that he with the other General & Subordinate officers were accommodated in a manner very agreeable, & that he with the other officers were perfectly Satisfied, & had a grateful Sense of the ready & polite attention that was paid them. 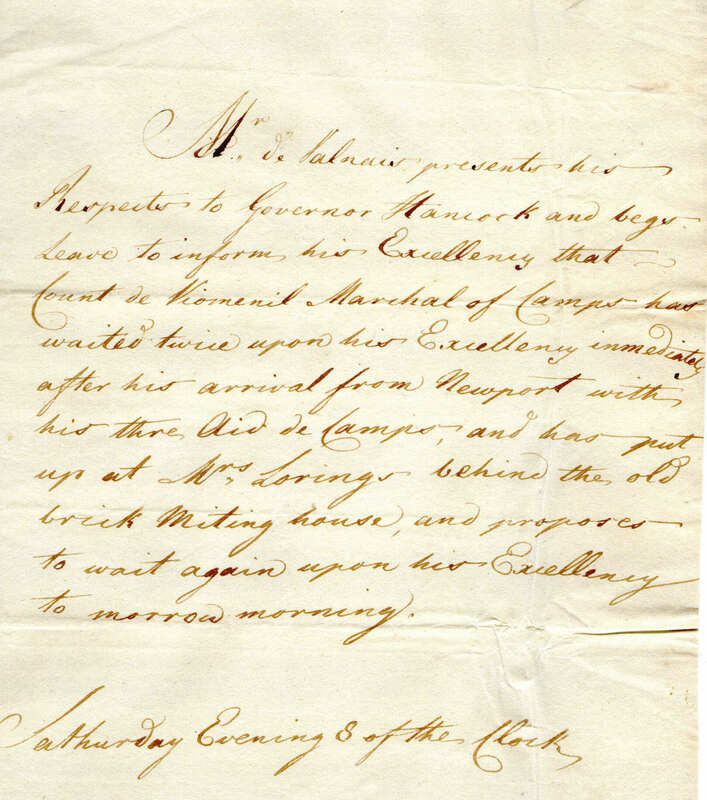 This is a wonderful original letter dated January of 1805, where Nathaniel Fanning has written home to his wife Eliza regarding his upcoming command of a new gunboat, the travel from New York and his hope to get paid soon...signed Nathaniel Fanning. Letter is 8x11, folds, addressed outer leaf, else in overall fine condition. Nathaniel Fanning (31 May 1755 – 30 September 1805) was an officer in the Continental Navy and later the United States Navy, who served on board Bonhomme Richard during its 1779 battle with HMS Serapis. During this engagement, Fanning served as captain of the main top. Most of his original group of men were killed, but he took a fresh party aloft and with them cleared Serapis' tops. When their yards locked the ships together, he led his men across to the British ship, where with hand grenades and mortars, they drove the British seamen from their stations. In recommending that Fanning be promoted, Jones said of him ". . . he was one cause among the prominent in obtaining the victory". Bonhomme Richard was destroyed during this battle, but the Americans sailed to Holland aboard Serapis. 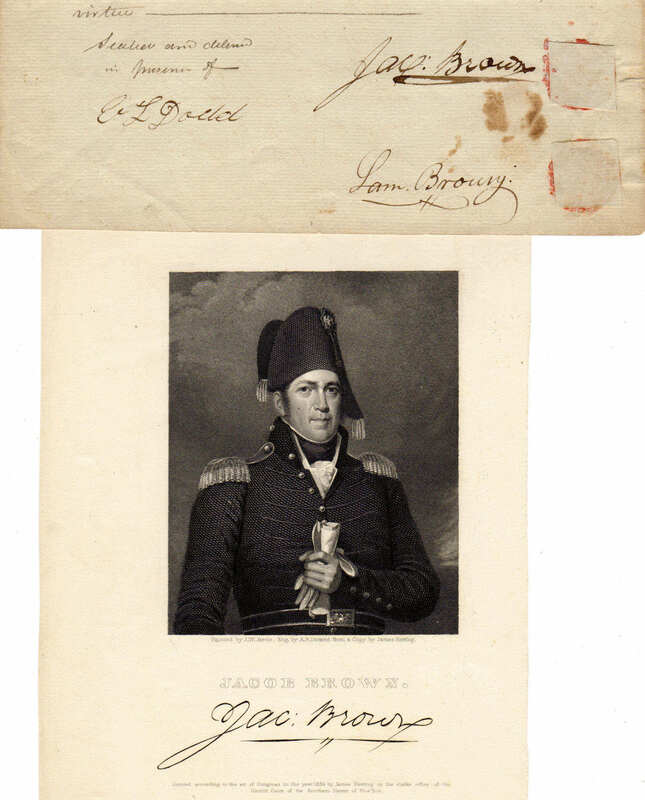 This is a wonderful, original and very scarce War of 1812, field commission, where Major General Jacob Brown and Samuel Brown Jr. are bonded to Henry Seymour for Samuel Brown Jr. to be Brigade Quarter Master of the 5th Brigade...signed Jacob Brown, Samuel Brown Jr. and E.L.Dodd. Document is 8x13, folds, else in overall fine shape.Comes with 7x9 engraving of Brown. This is a wonderful, original check, dated 1791, Bank of North America, signed by Henry Knox for payment to T. Allen. Check is 2x4 inches, hash cancelled, irregular edges, else in overall good condition. 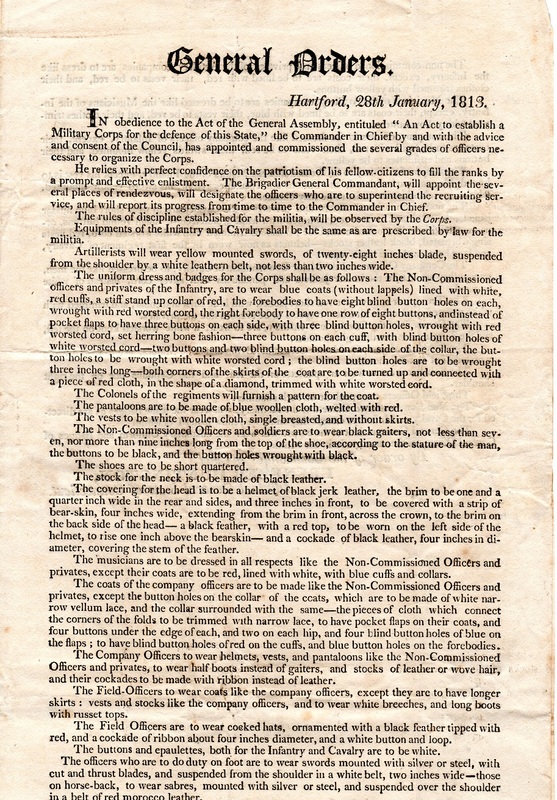 This item is a wonderful, original circular, War of 1812, the military dress code required for all soldiers in the war...signed in type on second page by Ebenezer Huntington...addressed outer leaf to Major Ellsworth...8x14, 2 pages, overall fine condition.